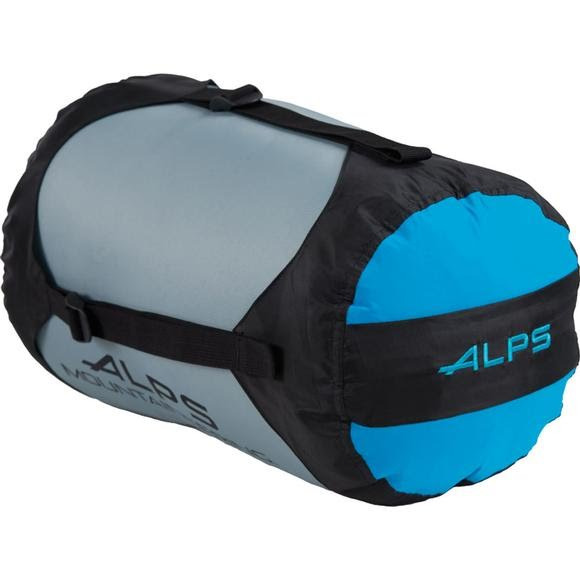 The Alps Mountaineering Medium Dry Sack is a compression stuff sack that features Air Control. Air control is a waterproof air permeable fabric, which allows you to compress air out and doesn't let water in. This high tech fabric gives you the ability to fully compress the contents while maintaining it's waterproof integrity. The Alps Mountaineering Medium Dry Sack is a compression stuff sack that features Air Control. Air control is a waterproof air permeable fabric, which allows you to compress air out and doesn&apos;t let water in. This high tech fabric gives you the ability to fully compress the contents while maintaining it&apos;s waterproof integrity. The Dry Sack is the perfect compression stuff sack for wet environments (not submersible).